To Surge or Not to Surge? Where do YOU stand? “Premum non necere” – First do no harm! Over 2500 years ago the Greeks introduced the Hippocratic Oath which all professionals, be it physician, lawyer, manager or government representative, would above all else, not knowingly do harm to others. While no one person can promise to be completely infallible, they can promise that they will not knowingly make choices for their clients or customers that will harm them. The Greeks understood intuitively that without this oath of basic trust, a mutually beneficial relationship can never develop. “Premum non necere”, “not knowingly to do harm” is the basic rule of professional ethics, the basic rule for public responsibility and sadly is becoming less evident in our American culture. I found this reference to this Greek Philosophy while reading a new favorite author of mine, Peter Drucker, in his book called “The Daily Drucker”. I thought it applied seamlessly into the life safety industry in many ways, specifically to one of our passions at Space Age Electronics; Transient Voltage Surge Protection. This is one of those topics that is always the center of conversation and sometimes controversial depending on your beliefs and understanding of this preventive technology. Do you provide TVSS devices only where required by code? Do you provide TVSS devices only when specified? Do you provide TVSS devices only when asked for by the customer? Do you provide TVSS devices only after the system is destroyed by over voltage surges? Or – Do you provide TVSS devices on every project to meet code and protect the system from known potential hazards that exist from over voltage surges or wiring disarrangement’s that can happen by other high voltage systems interfaced to the fire alarm system? So if this was a multiple choice test and you were undecided, selecting the longest answer from the choices given would result in a correct answer 50% of the time, statistically speaking. However this is not a test on academics, it’s more a measure of a professionals choice to apply the Hippocratic Oath or not. So where do you stand? 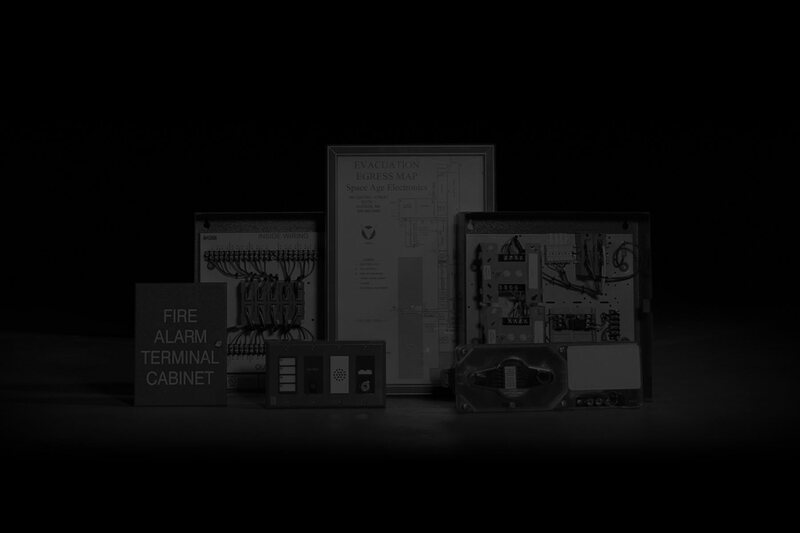 As professional Life Safety System Sale Engineers, Designers, Technicians and Consultants, we should all be familiar with NFPA 72 2013 Chapter 27.7.3 which requires that all 120V services to Fire Alarm System control panels or Remote Power Supplies be protected with a UL Listed 120V surge suppressor. Furthermore, NFPA 72 2013 Chapter 10.6.5 requires that the circuit breaker be identified and locked out from being turned off accidentally. Proper identification markings are also stipulated for the circuit breaker and breaker panel door. Let’s assume for a moment that we all have a clear understanding of what NFPA 72 requires the contractor to provide in regards to surge protection. Let’s also assume we want to provide our customers the best solutions for their life safety needs while protecting those investments indefinitely through the Testing, Inspecting and Preventive Maintenance life cycle of the system. Why is it then so many systems, be it fire, security, access or CCTV, neglect to keep the customers interest at the forefront during design & installation by protecting them from these daily and sometimes hourly voltage surge threats? Let’s be honest with this topic, everyone in the Life Safety Industry can better serve their customers in this area and do it profitably. We’ve all heard the variety of arguments over the years from a broad cross section of individuals and businesses. Everything from “It costs to much to install” and “I can’t charge for it so we don’t include it” to “It’s not specified so in order to stay competitive we don’t include it”. Even, “We don’t believe it helps prevent any damage.” Lastly, and one of my favorites which truly concerns me and should concern many of you too, “It’s one and done! We love to replace the equipment and charge the customer over and over again.” Really? There are companies out there that would rather have a facility unprotected from a fire threat because the system was damaged by a voltage surge or lightning strike, which by the way can generate a fire in the building. I find it hard to see the logic of the so called service provider repeatedly going back in a week and replacing the panels and devices in the facility. So much for the Hippocratic Oath! Whatever your position or philosophy Space Age Electronics only wants to help educate, reduce your liability and improve your companies profits with solutions that keep safety first and foremost. As mentioned above, every company that is willing to provide these services can do it profitably and be a hero for their customers. These are the actions that build trust and strong customer relationships that last for decades. Let’s do a little thought experiment which can be fun and amusing at the same time. Consider these several scenarios that actually happened. Then rationalize what company, A or B, actually made a profit; Company A who installed TVSS devices or Company B who did not? It’s so blatantly obvious which company is making a profit and doing what’s best for the customer, and themselves, in these examples. Yet this small inexpensive component is overlooked or neglected as a standard component on the base bill of materials. It should be right there along with batteries and System Record Document boxes. These should not be an option for the salesman to select or not, they should be mandated by sound engineering practices. In closing I’d like to leave you with this old adage I used with many an individual helping them solve their technical problems over the phone. Sometimes I would get that one ego inflated tech or engineer who did not want to listen to practical experience and relied solely on what they perceived as the norm in the industry. They just wanted to do it the way it was always being done, especially when it saved a few dollars. I would simply say; “There’s never time to do right, but there is always time to do it twice!” I have been proven right on this statement more times then I can remember and also guilty of not heeding it myself. Let’s do the right thing and Do No Harm to our customers or our own reputations as professionals in the life safety industry.